Today, most users surf the web unaware of the fact that websites collect their data and track their locations – and if this is not enough, then there are hackers and cyber criminals who can easily steal sensitive data from the ill-equipped. In short, the simple truth is that you have no or very little privacy when you're online. So, if you're worried about identity thieves, or ISPs spying on or throttling your traffic, the most efficient way to secure your privacy on the Internet is to avoid using public networks; use a Virtual Private Network (VPN) instead. When it comes to digital security, the first thing most users probably think of is a good Antivirus for protecting their sensitive data on their systems. But, what they forget is that the data they send over the Internet needs protection, too. That's where Virtual Private Network (VPN) services come in. VPN allows you to access a private network securely and to share data remotely through public networks, protecting your data online – much like a firewall protects your data on your computer. The most important thing about a VPN is that it secures your internet connection to guarantee that all of the data you are sending as well as receiving is encrypted and secured from ISPs, hackers, and prying eyes. It's because VPN works by overlaying a private network on top of a public network, effectively encrypting all the data that passes through the networks. Since VPNs use a combination of dedicated connections and encryption protocols to generate virtual Peer-to-Peer (P2P) connections, even if snoopers did manage to steal some of the transmitted data, they would be unable to access it. What's more, VPN makes sure that your real identity remains anonymous on the Internet so that no one can track the origin of your Internet connection back to you. Which VPN Service is the best that would take care of my security and anonymity seriously? Many companies are providing VPN services, but not all are same. Some VPN services log all your browsing activities that nullify the point of using a VPN for privacy. The best VPNs are the ones that do not keep logs or records of your browsing history and protect your anonymity, while offering a solid balance of features, server location, connectivity protocols, and price. I came across some reputed VPN services, but they resolved few issues, and some addressed several issues but cost too expensive. But, then I found NordVPN, the Panama-based company that has been providing advanced VPN services since 2012. While reviewing, I found that NordVPN offers some good features, when it comes to privacy and security, though it might not be the fastest VPN service. 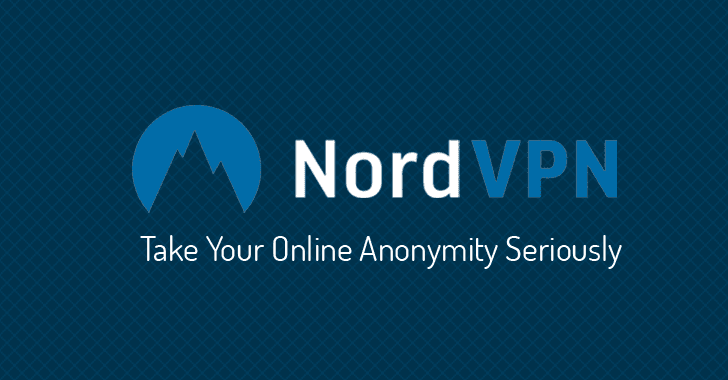 First and foremost, NordVPN is for those privacy-conscious users who prefer strong online anonymity at a very affordable price. Below I have listed some key features of NordVPN. NordVPN is a real non-logging VPN, but that is just the starting point. The company has a "strict no-logs policy when it comes to seeing user activity online." On logging, NordVPN clearly explained that it makes its user's traffic "invisible to governments, ISPs, third party snoopers and even NordVPN.com" itself. NordVPN is headquartered in the Central American country of Panama, but why does this matter? NordVPN servers are operated under the jurisdiction of Panama – a country that doesn't require Internet service providers to monitor user traffic, so the company is "empowered to deny any third-party requests." A unique feature that NordVPN offers is its two-stage data encryption through its DoubleVPN service. When using this service, user's data is passed through two separate VPN servers, which encrypt the data with AES-256-CBC cipher twice over using different keys as it leaves each server. Re-encrypting the data twice will indeed make NordVPN more secure, which would make tracking an internet user more difficult. Tor has become increasingly popular after Edward Snowden revelations about NSA's global surveillance programs.Tor is a great anonymity tool, but it also has certain downsides, like being a constant surveillance program target. For those looking to get another layer of security protection, NordVPN is providing Tor-over- VPN server that encrypts your traffic before entering Tor network, making it even harder to trace back to the source. Although Tor over VPN is only User → VPN → Tor → Internet, so your actual IP address is not masked from NordVPN. Much more useful would be a User → Tor → VPN → Internet kind of service that allows users to hide their true IP address from even the VPN provider. Also, Tor is notoriously slow, which makes Tor-Over-VPN NordVPN servers slow in performance, but it would be unfair to judge something on factors beyond its control. You can try the DoubleVPN with Tor-over-VPN for double-encrypted, multi-hop, maximum protection of your data. Isn't that cool? To protect your traffic from eavesdropping, NordVPN supports many different VPN security protocols, including OpenVPN, SSTP, PPTP, L2TP/IPsec and IKEv2/IPsec. NordVPN for Windows, Linux or Mac OS allow users to manually choose between these encryption methods, while NordVPN custom apps for Windows, iOS, Mac OS and Android, have OpenVPN or IKEv2/IPsec protocols set by default, both open source, offering robust 2048 bit / 3072 bit encryption. Besides its VPN services, NordVPN also offers a Kill Switch feature, which is a must-have for anyone who is genuinely concerned about security. When configured, this feature constantly monitors the traffic between your selected applications or processes and the VPN servers. If your VPN connection is interrupted or the data is broken at any point or for any reason, Kill Switch will automatically activate and immediately cut those apps or processes. This is great, as it ensures that no unsecured data sneaks out. Currently, the company has NordVPN apps for MAC OS, iOS, Windows, and Android. 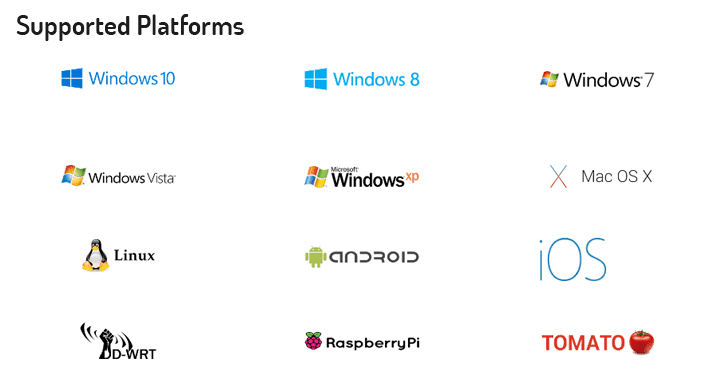 NordVPN also supports Linux, but not Windows phone. Users can even run NordVPN on game consoles and some network devices like routers. In terms of speed, NordVPN provides consistent performance with several numbers of servers providing a satisfying rate. The United States, United Kingdom, Canada, Australia, Brazil, Austria, France, Germany, Norway, Poland, Spain, Sweden, Switzerland, Romania, Russia, Iceland, Isle of Man, Israel, Italy, Hong Kong, Japan, Liechtenstein, Lithuania, Netherlands, New Zealand, Singapore, South Africa and more. NordVPN offer servers that are customized for specific types of online access, such as high-speed servers for video streaming, Anti-DDoS servers for protection from denial of service attacks, and extra-secure servers for enhanced anonymity online. Conclusion: NordVPN offers a solid suite of security and privacy features, with a wide choice of locations, clear logging policy, and good performance, in an easy-to-use package at a very reasonable price. It's a smart choice and certainly should be on your shortlist. NordVPN provides different packages, from which you can choose one according to your requirement. VPNs have now become a great tool not just for large companies, but also for individuals to improve their privacy and security online, dodge content restrictions and counter growing threat of cyber attacks. So, if you are worried about your online safety, purchase a VPN now.